Spectacularly located and spectacularly priced, Chateau Ausone is in the elite of elite estates in Bordeaux. 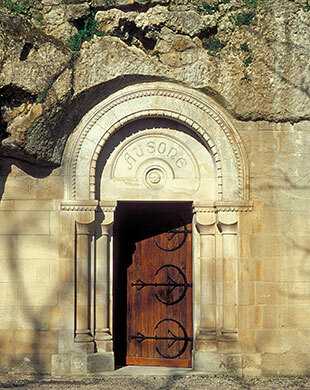 The tiny vineyard lies on the sloping, steep, southwestern facing hillside outside the walls of St.Emilion. Despite a somewhat chequered history in terms of quality, ever since the Vauthiers bought out the Dubois-Challons in the mid 1990s, the quality (and price) of the estate's wines have rocketed. This is thanks in part to their miniscule production (1600-2000 cases) but one must pay due credit to the great work carried out in the vineyard and winery by Alan Vauthier.